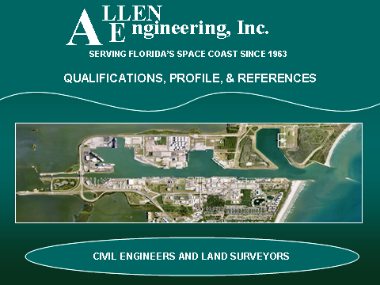 Allen Engineering (AEI) has been in business since 1963 and specializes in site planning, civil engineering design, permitting and professional land surveying. 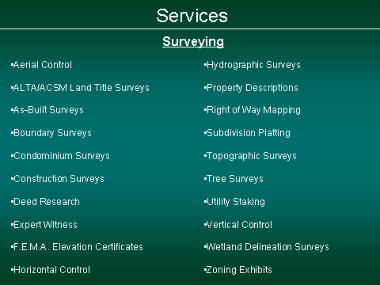 We are registered in Florida and Georgia, and have all the in-house staff necessary to assist our clients with their needs. 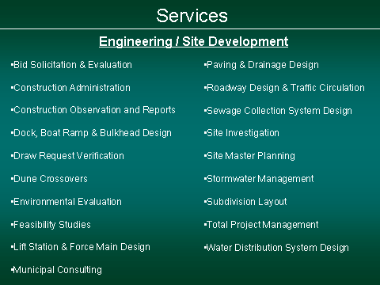 Allen Engineering has specialized training in site planning, permitting, utility infrastructure, earthwork, roadways and parking, stormwater management, and construction management. 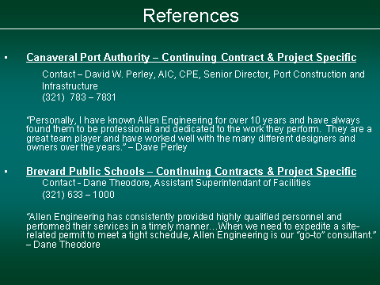 Allen Engineering also has LEED accredited professionals. 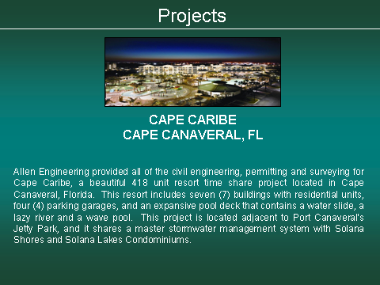 In over 50 years of business, we have gained tremendous experience in the development of hotels, resorts, single-family residences, recreational parks, educational facilities, and large industrial and commercial projects throughout Central Florida and the Southeast. 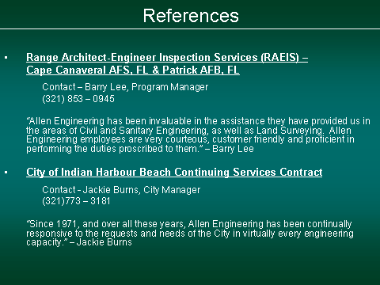 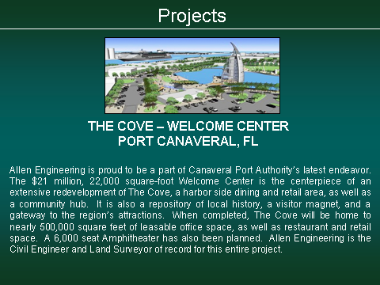 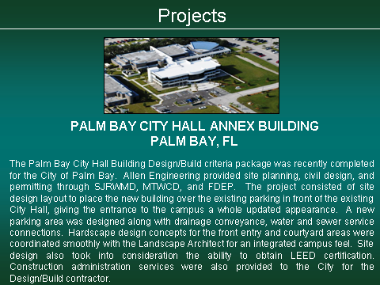 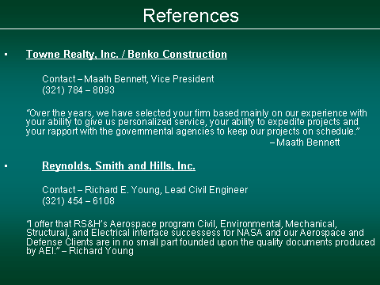 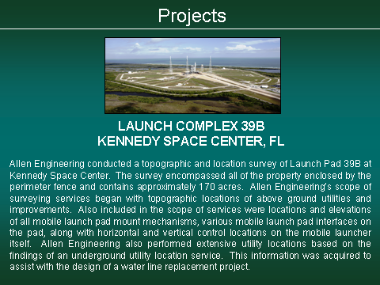 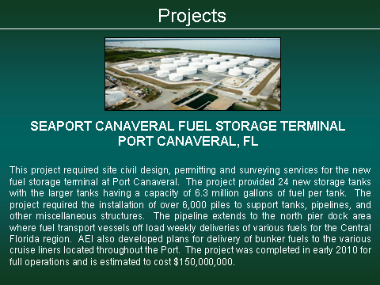 We also have several working relationships that span decades with all levels of Federal, State and local governmental entities such as the United States Air Force, NASA, the Canaveral Port Authority, Brevard Public Schools, Brevard County, and various city governments. 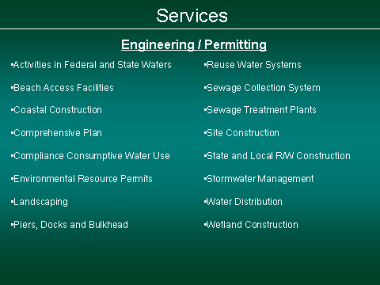 Our extensive background and knowledge of existing site, environmental, and regulatory requirements allows us to expedite the review process and avoid timely delays.